This post is sponsored by the 2015 Valspar Championship. Continue reading to the end and enter to win a 4 pack of tickets to the Valspar Championship at Innisbrook in Palm Harbor, FL. We’ve lived in Palm Harbor for almost 10 years now and March is my favorite time of the year. We didn’t realize when we decided on Palm Harbor that Innisbrook was within walking distance from our house and that every March, the big blimp would be flying overhead. It’s fun for us to tell our out-of-state family to watch the Valspar Championship to see our house from the blimp and the kids love it. What kid doesn’t love to see a blimp in the sky? I don’t think there’s been a year that at least 1-2 of us have gone to a round of the Championship. There were a few years when I stayed home when Bailey was a baby and let the boys enjoy the day on the course. In 2014 we finally took our youngest (she was 5 then) to her first Championship and she loved every minute of it. I would never have imagined that a golf tournament would be fun for kids, but I was wrong! In fact, I never thought I would enjoy them so much myself. My husband golfs occasionally and he’s taken me once or twice. My son has a set of clubs and has taken some lessons. This summer we’ll introduce golf to our daughter at golf camp. I’m sure one day I’ll decide to take up the sport, but for now I’ll just enjoy it as a spectator each spring. I know the big name golfers and my husband fills us in on the rest. There’s something special about walking the course. 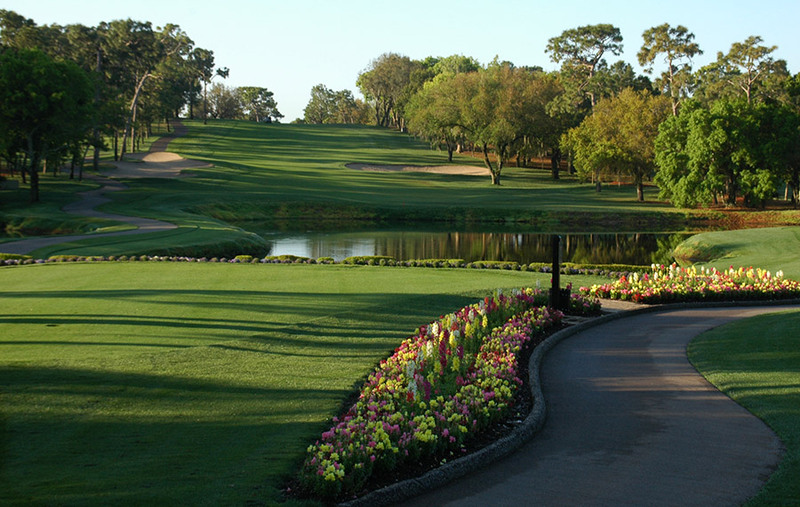 Innisbrook is beautifully landscaped and the Copperhead Course is gorgeous. Spring in Florida is my favorite time because there are so many flowers and trees in bloom. The first few years we went they wouldn’t even allow us to bring our cell phones on the course, so it’s relaxing and peaceful to be away from technology for the day. They’ve modified the rules slightly and you can now have your phones on silent. Seriously, this is just beautiful and I could stay out there all day. Be sure to wear your running shoes because Copperhead is 7,340 years and you could be walking…a lot! There’s so much to do though, even more than watching the golf tournament. Valspar and the sponsors have planned activities that are fun for the whole family. For starters, kids 15 and under get in free with each adult ticket. Military and Veterans can also get in free thanks to a sponsorship with Pinch-a-Penny. One day tickets are on sale now for only $30 (tickets go up on March 8th) and they even have a Family Pack that includes food and drinks. I would recommend the event for any family; but especially if you have kids over the age of 5. Behind the 18th green you’ll find the 2015 Valspar Color Experience with lawn games, photo opportunities, and fun indoor activities too. There’s a Brighthouse Sprots Pavillion, a Family Fun Zone, a Tires Plus Driving Range, and don’t forget to stop by Frency’s Pool Party! Dress colorfully and win prizes!! This year Valspar has Color Scouts who will be searching for the most colorful guests and will award them with prizes. Perhaps I need to go shopping and make this really fun this year!! What should I wear?? 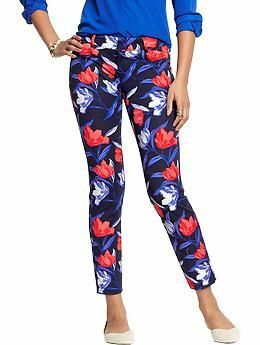 I hear floral prints are making a comeback!! If you go on Saturday, March 14th (the day before MY birthday), there’s a FREE Valspar LIVE Concert featuring The Band Perry at 7pm. Let the kids jam out to this mainstream country band after the tournament. There’s only lawn seating so pack a small blanket to sit on. I can’t believe March is almost here!! Up first is our anniversary (March 7th), followed by the Valspar Championship (March 9-15th), then my birthday (March 15th) and my sons birthday (March 17th). March is always busy, but it’s so much fun to celebrate spring in Florida. 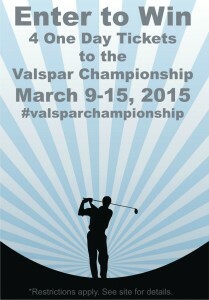 You should join us by attending the Valspar Championship. Tickets are available at http://valsparchampionship.com/ If you can’t come, be sure to watch us on TV and look for my floral pants!! Would you like to WIN tickets??!! Well, I have 4 one-day passes (you choose the day) to the Valspar Championship that I’m giving away to one lucky reader. Winner must be local or willing to travel to Palm Harbor, FL March 9-15th and travel expenses are not included. I’ll select a winner and announce them right here on the morning of March 6th. All entries must be received by midnight ET on March 5, 2015. Winner must be 18 years or older. 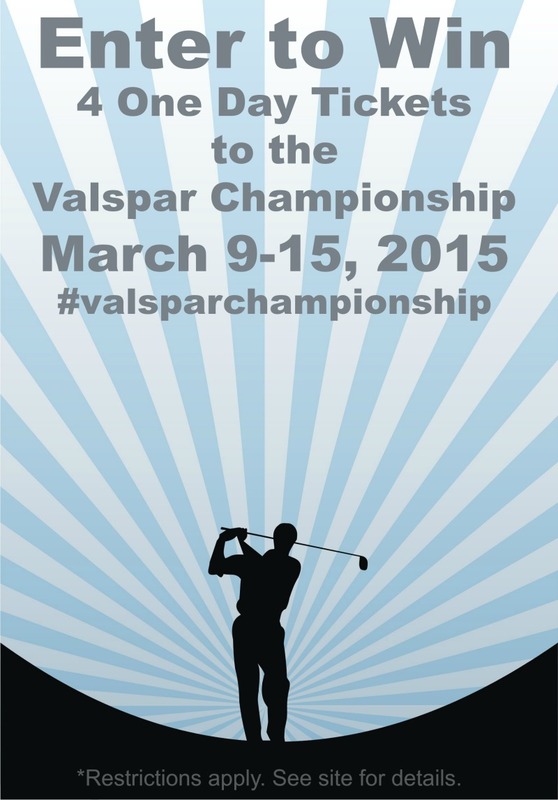 Disclosure: I’ve partnered with the Valspar Championship as a media partner to share this event with my readers. In exchange, our family is receiving tickets to the Championship. All opinions are my own and may differ from those of Valspar and it’s sponsors. I would love to win for something new to try out and the place looks awesome! I am traveling in from Texas and my daughter and I will be attending, I was so glad to see your post and will definitely look for your bright self!! A friend from Orlando took me to the Arnold Palmer Invitational last year, and it was my first golf tournament. I had an amazing time. I’d like to win so I could return the favor and invite him to a tournament in my neck of the woods. PGA golf at innisbrook rocks. Great venue and they do a wonderful job with the valspar. Pick me! Pick me! Never been. Would love to see Some PGA players.